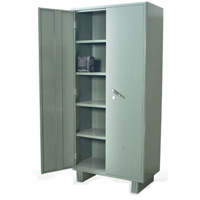 Category: Steel Almirah & Lockers	Tags: "bookcase design", "bookcase in noida", "bookcase online", "bookcase with glass doors", "bookcase", "bookshelf in noida", "bookshelf", "cupboard in noida", "cupboard", "steel bookcase"
ESOC-01 CRC Steel office cupboard oven painted powder coated of size 78″x36″x19″, having two individual entryways with locking doors. Helpful for home, library, stationary and school. Which help to change your life style.